AUSTIN, Texas — Political commentators are wondering if there is anything at all that Davis could do to rescue her floundering campaign. 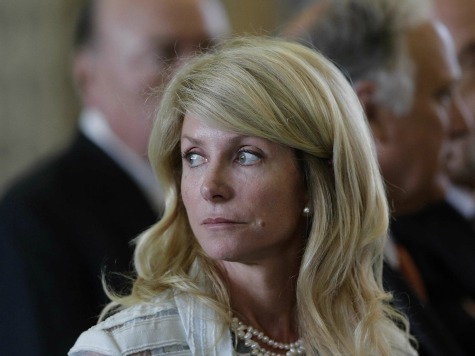 One factor that may be dooming Davis is her poor showing with Texas women voters. When her filibuster of the abortion bill made national news, Davis quickly caught the attention of Hollywood, garnering especially enthusiastic accolades from liberal actresses. Alyssa Milano praised the filibuster as “one of the most dramatic things you’ll see in politics.” Lena Dunham tweeted to Davis that she was a “bad-a** b****,” and “We love you, Wendy!” Molly Ringwald joined in the adulation of Davis’ pink running shoes, and Connie Britton hosted an Austin fundraiser for Davis in May. Red State Women has launched a new website, The Female Fact[her], which discusses “the direct influence women have on our society, our economy, and our political landscape,” and with 55% of the Texas electorate being comprised of women, Texas Democrats are unlikely to achieve any major electoral successes unless they can figure out how to connect with this state’s women voters better than Davis has.